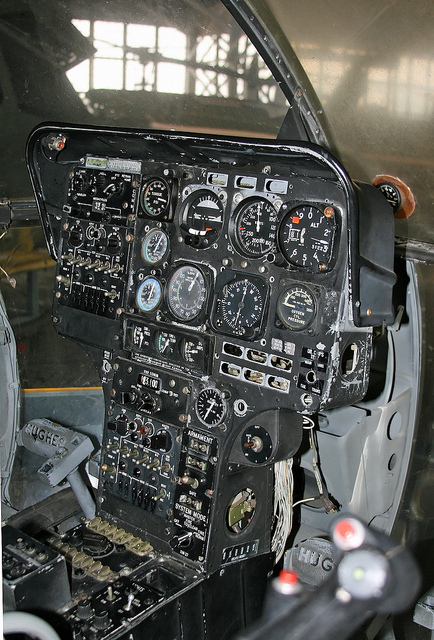 The collective pitch control, or collective lever, is normally located on the left side of the pilot’s seat with an adjustable friction control to prevent inadvertent movement. The collective changes the pitch angle of all the main rotor blades collectively (i.e., all at the same time) and independent of their position. Therefore, if a collective input is made, all the blades change equally, and as a result, the helicopter increases or decreases its total lift derived from the rotor. In level flight, this would cause a climb or descent, while with the helicopter pitched forward an increase in total lift would produce an acceleration together with a given amount of ascent.